Our client had a clear idea of the colour and style for her new kitchen. However, she needed a design to make the best of the space. She wanted more work surface and storage space. Plus, she wanted enough room to install a slimline dishwasher. We did all of that! 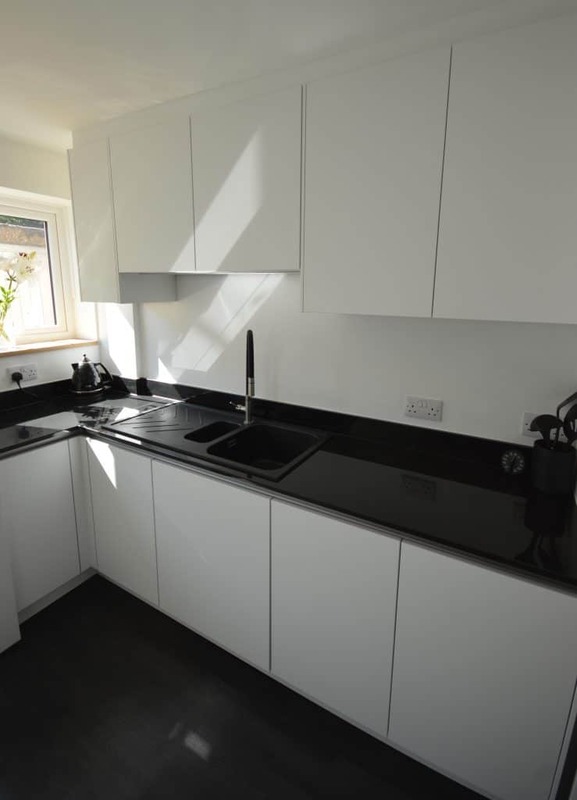 We changed the layout of the kitchen to create a longer run of worktop, and installed cabinets with plenty of clever storage space. In addition, we converted the understairs cupboard into a utility area for the washing machine. This freed up space in the kitchen to install the slimline dishwasher. 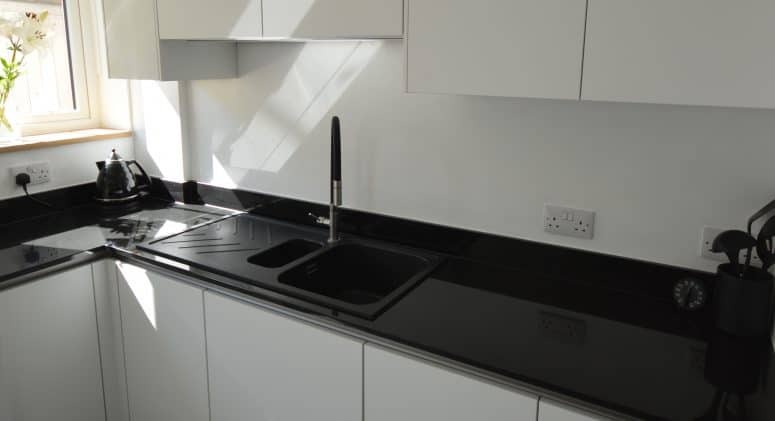 We fitted a sleek, modern, handleless Nolte kitchen, with granite worktops, new appliances and a black sink with flexible hose tap. Furthermore, we made a removable wooden worktop for the boiler to allow for maintenance access. We also laid the Karndean flooring in the kitchen and hallway. Once the room had been decorated, we came back to install the finishing touch – our client’s pretty daisy themed glass splashback.